Before its launch on August 23, 2016, the new Hyundai Elantra 2016’s specifications list have leaked online. The list has been shared by a member of The Automotive India forum. As per the leaked reports, the 2016 Elantra will be made available in a total of six trim levels – S, SX, SX AT, SX (O), SX (O) AT – across both petrol and diesel models. Both the 2.0-litre dual VTVT petrol (150bhp & 190Nm) and 1.6-litre CRDi diesel (126bhp & 265Nm) models will be made available in manual and automatic transmission options. While the petrol model of the 2016 Hyundai Elantra will give the mileage 14.6kmpl, the diesel will give an impressive mileage of 22.4kmpl. With such impressive mileage stats, the Elantra will become one of the most fuel-efficient cars in its category. The car will be available in 5 color options – Blue, Red, Silver, Black & White. Some of the key features on offer will be two driving modes, projector headlamps & fog lamps, rear seats with 60:40 split,anti-pinch electric sunroof, smart boot opening, push button, cruise control, 16-inch alloy wheels, automatic climate control, rear AC vents, 8-inch touchscreen infotainment system with Apple CarPlay. The brand new Elantra is already on sale in various international markets which includes South Korea and North Korea. The car has made its first presence in the Los Angeles Auto Show where the company showcased its new design language. In India, the manufacturing of the 2016 Enlatra will take place at Hyundai’s Chennai-based plant. 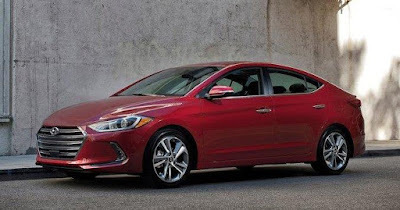 While the exterior and interiors accompany new and highlight designs, the most imperative change in the Elantra is its new platform that is liable to enhance the ride and taking care of. The Elantra was the Hyundai sedan to include the Fluidic plan logic in India. This new saloon gets a more evolved Fluidic design, but it is now designed on European lines. The sedan’s front fascia seems inspired from the Genesis G90, featuring large hexagonal grille, sleel headlamps with dynamic bending lights and newly designed vertically stacked LED DRLs. 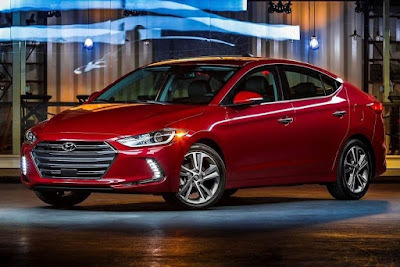 The new-generation Hyundai Elantra has been a runaway success for the Korean carmaker ever since its launch in international markets. With over 10 million sales, the saloon is claimed to be the sixth best-selling car in the world. With all-new design, improved functionality and class-leading performance, the new Hyundai Elantra 2016 is likely to continue its high value proposition in the competitive premium sedan segment. 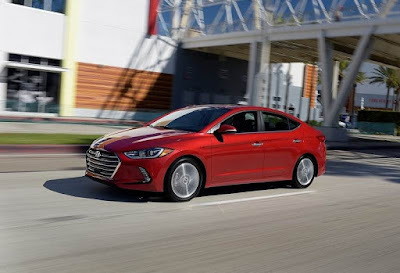 With premium styling, advanced functionality and a more refined engine lineup, the new Elantra’s prices are expected to be a notch higher than before. The saloon might come within the price range of Rs. 15 lakh – Rs. 18 lakh (ex-showroom). The 2016 Hyundai Elantra will take on the likes of Toyota Corolla Altis, Chevrolet Cruze and Skoda Octavia in India.